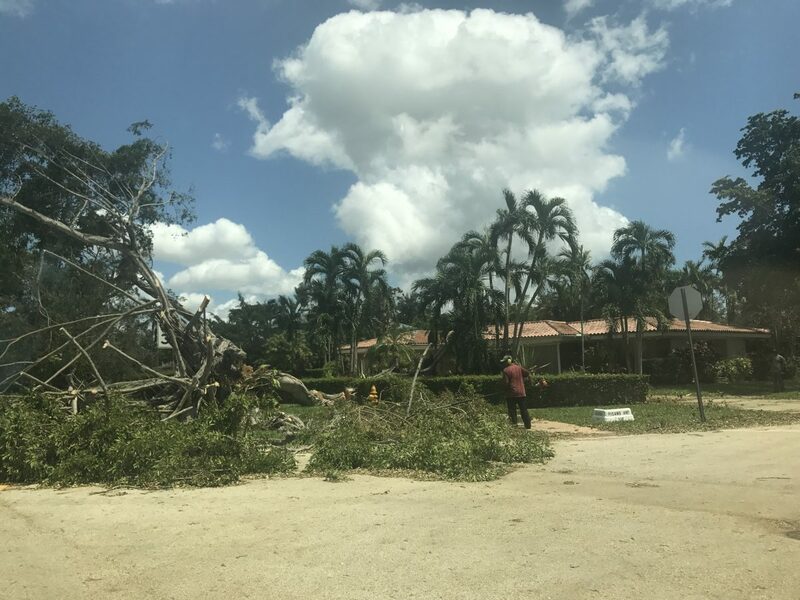 Downed trees, fallen power lines and blocked roadways were among some of the hazards around the University of Miami campus Tuesday afternoon as TMH reporters surveyed the damage from Hurricane Irma. 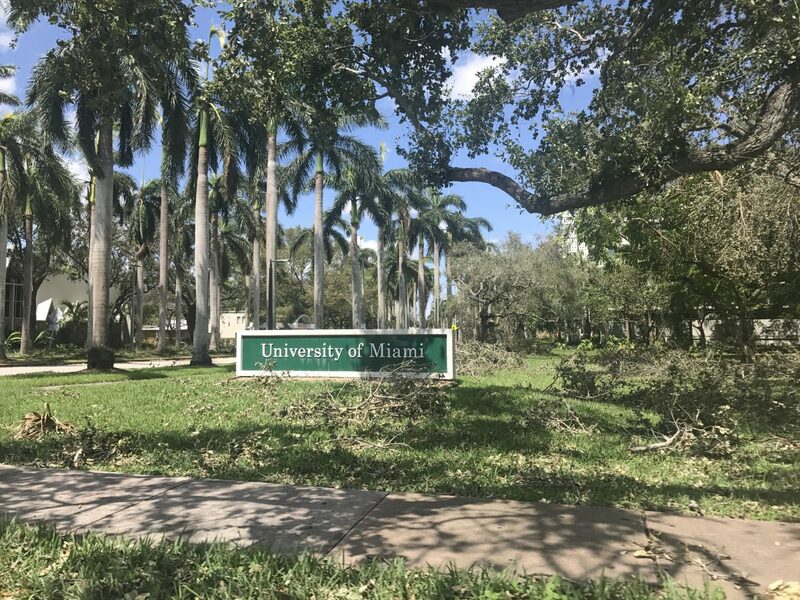 Fallen branches litter the lawn near the main entrance to UM’s campus. Much of the damage visible around the perimeter of campus consisted of fallen trees. 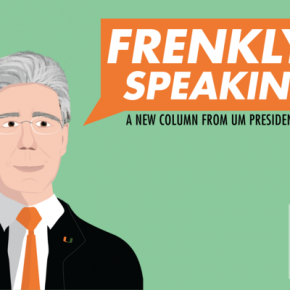 Students and faculty who parked their cars in the Pavia, Merrick and Mahoney/Pearson garages for the storm were allowed to retrieve them beginning Tuesday morning. 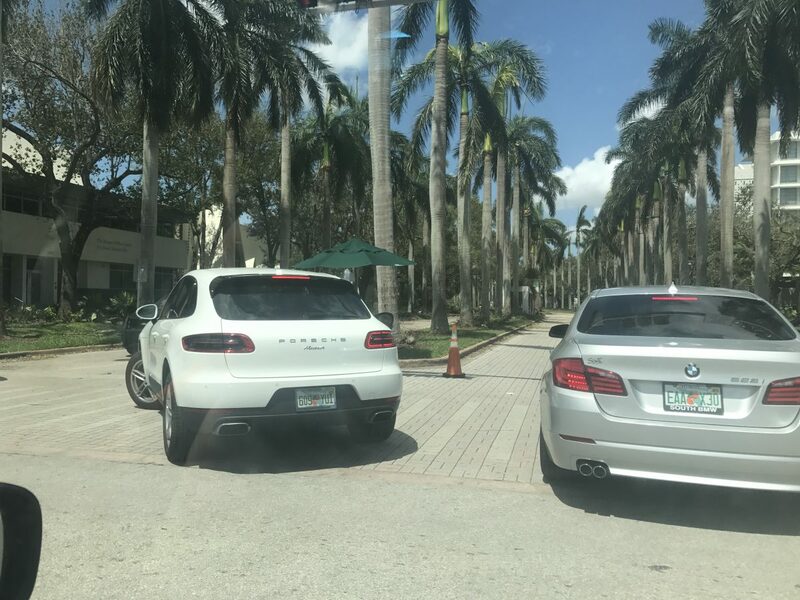 No one else was permitted to access the Coral Gables campus. 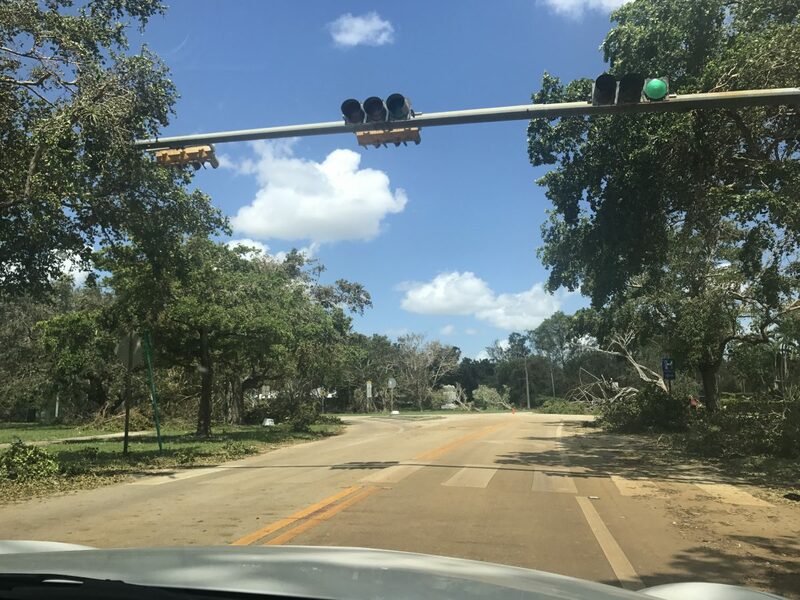 Much of the UM campus and surrounding neighborhoods were without power and working traffic lights Tuesday afternoon, but power was restored to some of the area by Tuesday night. San Amaro drive is blocked by a UMPD officer, who said the road was closed because it was blocked by debris. 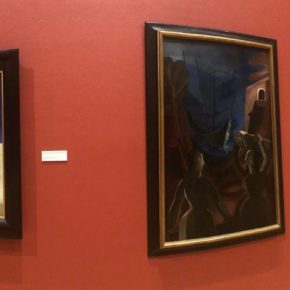 The road reopened by Tuesday evening. 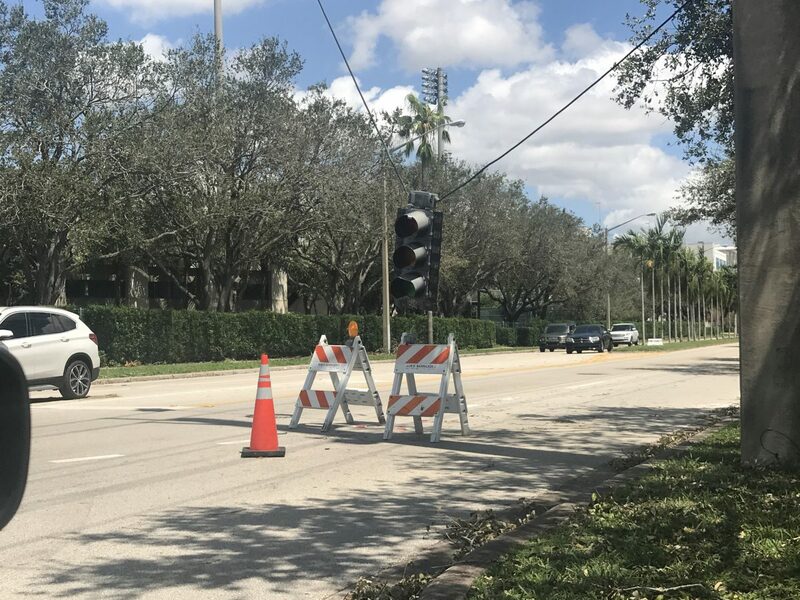 A damaged traffic light dangles above the street, blocking one lane of traffic at the intersection of Ponce De Leon Boulevard and San Amaro Drive. 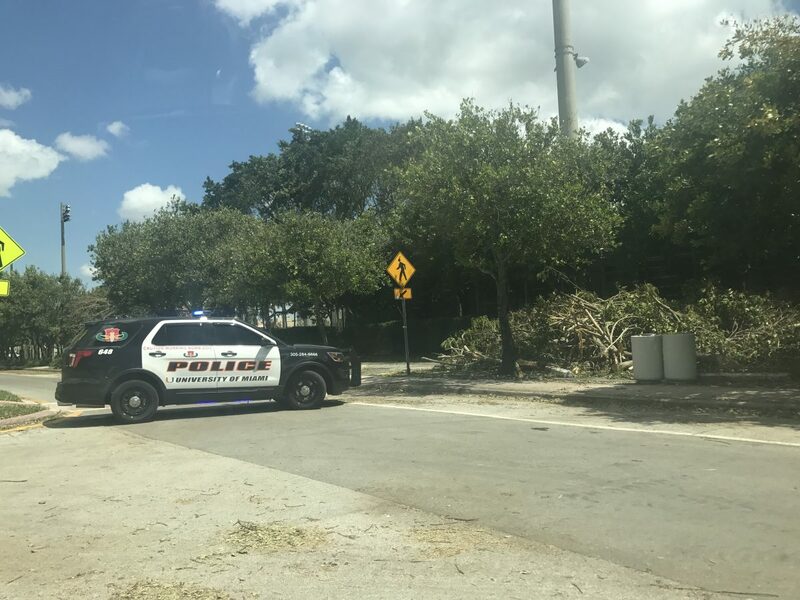 Granada Boulevard, adjacent to the Coral Gables campus, is blocked by a downed tree Tuesday afternoon. Cars were able to get around the tree by driving on the grass and sidewalk before the tree was cleared. 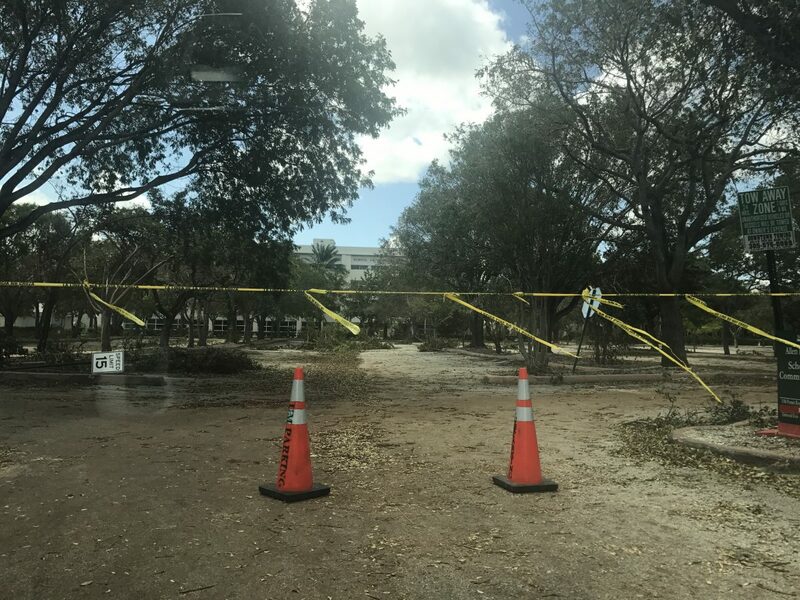 The Red Lot near the School of Communication and Panhellenic building remains closed, blocked by debris from fallen trees. 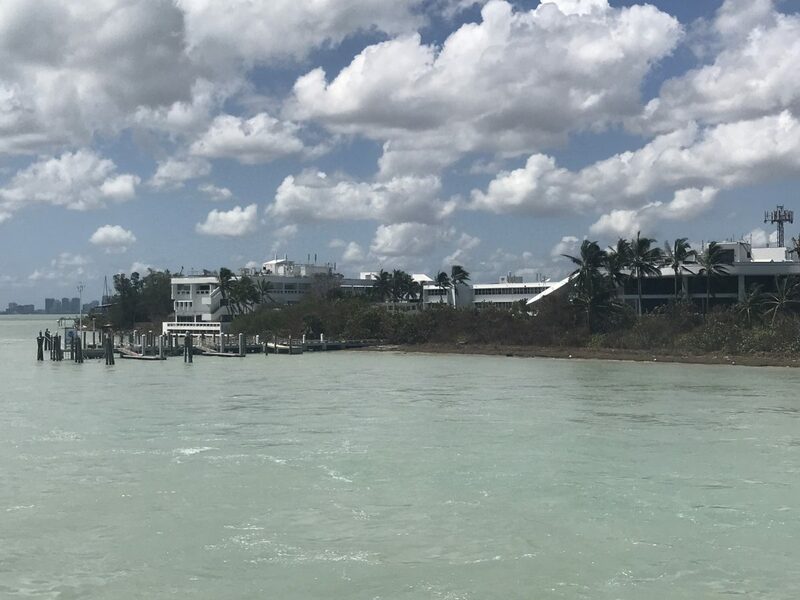 The Rosenstiel School of Marine and Atmospheric Science campus on Key Biscayne sustained some flooding damage, according to a security officer, but he said the damage was not as severe as administrators feared it could have been. 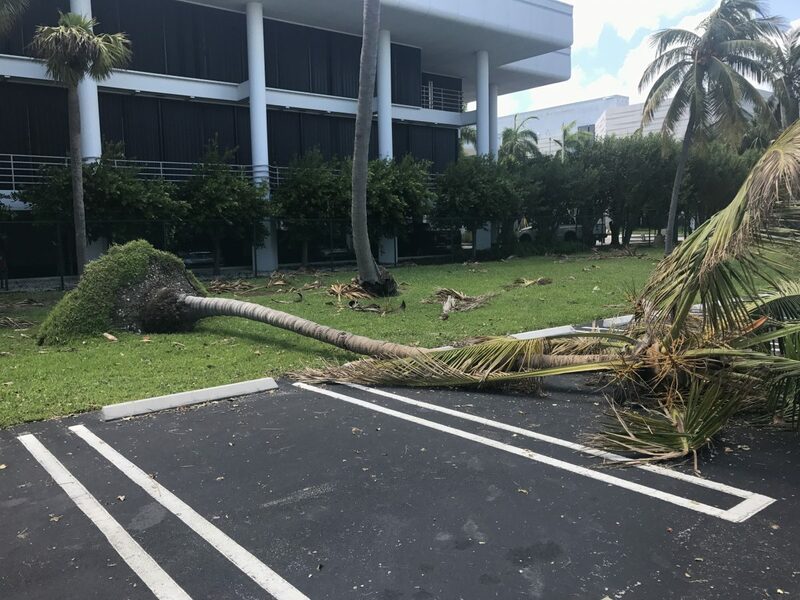 A fallen palm tree was the only damage to the RSMAS campus visible from the outside, but a security officer says the campus experienced additional damage inside.